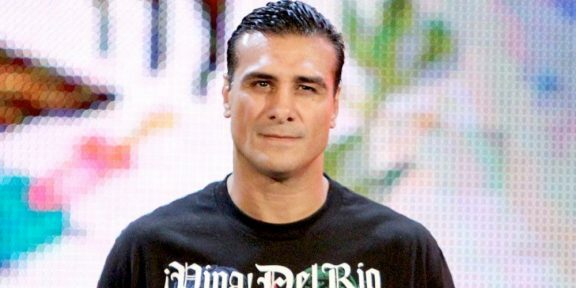 Comments Off on Is WWE turning back for Alberto Del Rio? PWInsider.com is reporting that Alberto Del Rio’s name is being brought up for a possible return to the company a year after he was fired. Del Rio was let go from WWE on August 7, 2014, for unprofessional conduct following a backstage argument with a WWE social media manager. The employee – who has since left the company – made an alleged racist joke towards Del Rio and the former WWE champion slapped him in return. It’s not known if the two parties are already in negotiations or if this is just something that WWE hopes to achieve. Del Rio, now using the name of Alberto El Patron, works for Lucha Underground and AAA in Mexico. Del Rio is a Royal Rumble and Money In The Bank winner as well as a two time World Heavyweight champion and WWE champion.